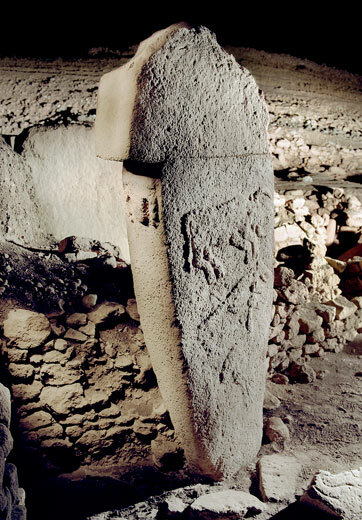 "A key to the megaliths' purpose may be their elaborately carved bestiary." "Carved vulture with a scorpion. Some peoples have revered vultures for carrying the flesh of the dead to the heavens." Göbekli Tepe in November 2008. Image Source: Berthold Steinhilber via The Smithsonian. 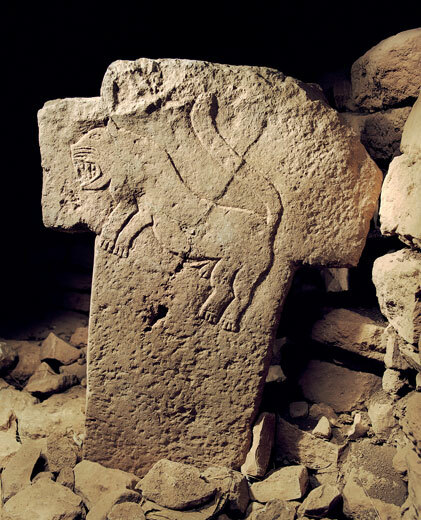 "A carved fox in Gobekli Tepe." 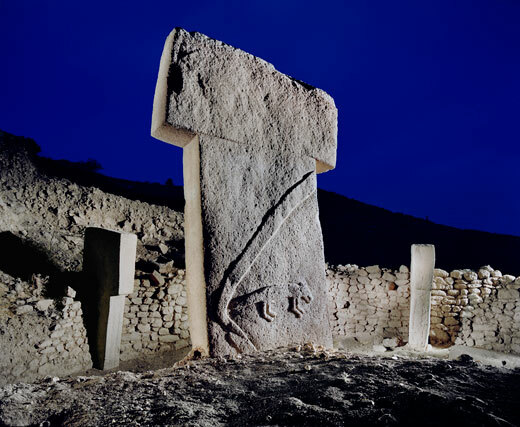 Göbekli Tepe in November 2008. Image Source: Berthold Steinhilber via The Smithsonian. 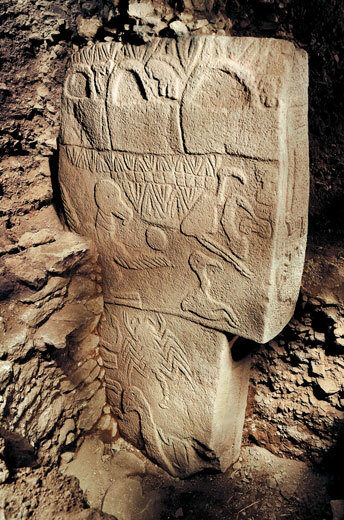 "Gobekli Tepe was crafted and arranged by prehistoric people who had not yet developed metal tools or even pottery." 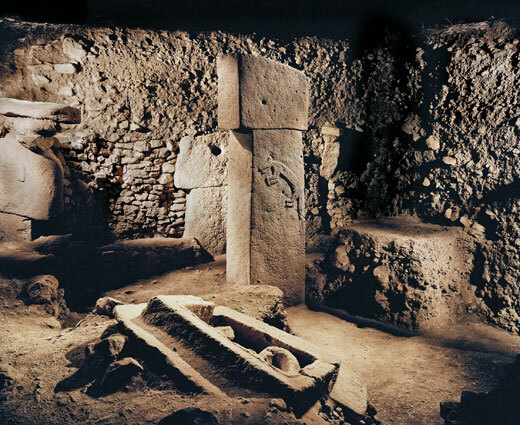 Göbekli Tepe in November 2008. Image Source: Berthold Steinhilber via The Smithsonian. 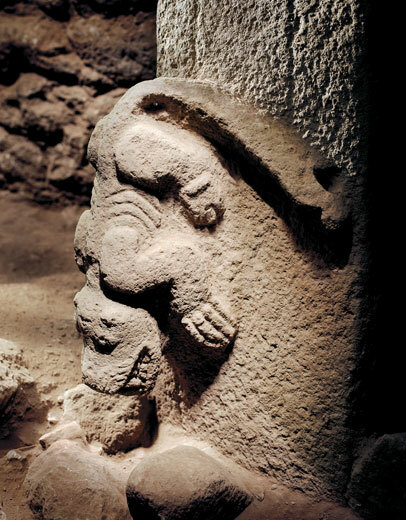 Is there any evidence that this was a temple, or that religion or spirituality had anything to do with it whatsoever? I see none cited. Schmidt seems more on target when he says we'll never comprehend the mentality of its builders or know what was on their minds when they built it. From the reading I did, the suggestion was that this was a holy place because it was not built for habitation. No one lived at the site - despite the fact that it would have taken thousands of people, camped in one place over time, to build it. Evidence of nearby habitation may emerge over time. It may be partly a burial mound, but determining that depends on further excavation. The lead archaeologist believes it was a place of worship, but all scholars looking at the site are still trying to understand it. I think it's ridiculous to assume something as complicated as some of the carvings could be the first anything. There must be older more primitive examples that haven't been discovered yet. Hi Anon, yes, I emphasized that Schmidt, not I, suggested that this was the 'first' human built holy place. As it is, as Infidel commented, it is neither confirmed as the first site of its kind, nor as a holy place. It is more likely a doorway to a revised understanding of the deep past and will lead to more archaeological expeditions and searches focussed on the prehistoric era. 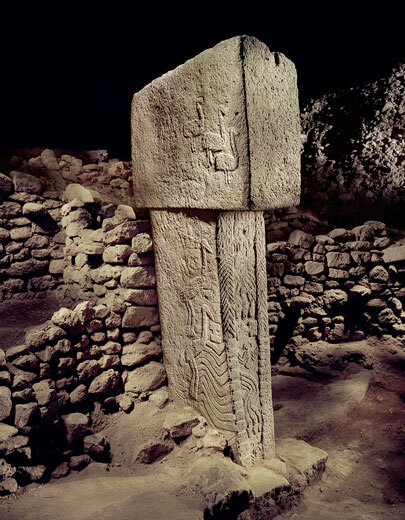 When I first set eyes on the pictures of Gobeckli Tepe, what struck me about the pillar circles was the way all the tops angled in toward the center with lower pillars within their circumference. History has proved time and again that nothing humans do is without a reason. I would simply posit that they were meant as a support for separate structures or emblems made from long since degraded beams or reeds. I wouldn't suggest boats, but await evidence. I've been avidly reading all the available info on this fertile crescent site. I will steer clear of drawing any conclusions, because I know more is yet to be discovered. There is probably little to no likelihood of any degradeable evidence like fabric or wood. 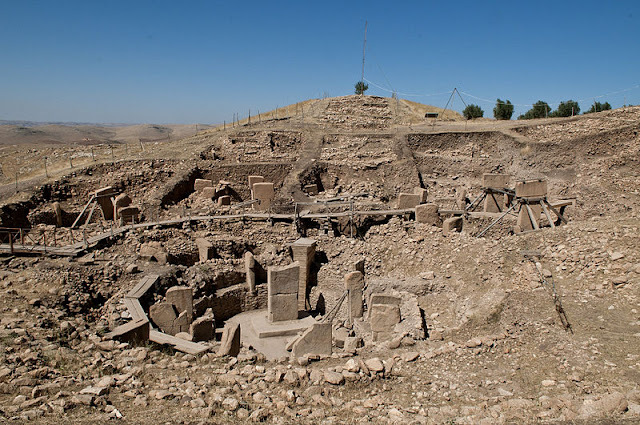 Whoever the artificers of Gobekli Tepe were, it seems clear it was not where they lived. Perhaps after other sites dating to the same time frame become evident, we will know who the builders were. Any attempt to suggest "anything" prematurely would likely paint its perpetrator as an attention-seeker like Von Daniken or Tsoukilos. Objective scientific method will yield the facts in their own time.